Do you want to start a food business in Dhaka, Bangladesh? 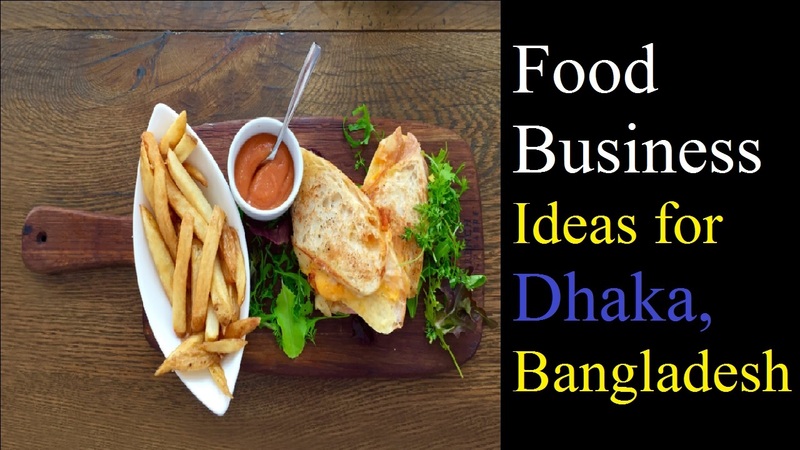 In this article, I’m going to show you the top 5 food business ideas for Dhaka, Bangladesh. There are plenty of food business ideas for the dweller of Dhaka city if you’re passionate about food and keen to start a food-related business. By spending a few hours in a day or week, there are several young people, college students, housewives who want to earn money. They can start several small businesses that relate food with low investment. Including who are searching for small business ideas for women, these ideas would work for everyone. Food is not only the basic necessity of life but also a luxury business in many cases. Due to which there is a huge demand for food business ideas with low investment, people around the world love to eat delicious food. If it’s operated in a proper way then it’s very rare to find a food business failing to succeed. In terms of contribution to value addition and employment, the food business ideas for Dhaka, Bangladesh represents one of the major potential sectors within the industrial segments. It’s surprising that the sector accounts for over 22% of all manufacturing production and employs about 20% of labor forces and all food processing enterprises account for 2% of the national GDP. It’s the sector that comes with processing of cereals, pulses & oilseeds, bakery, and confectionary, fruits and vegetables, dairy, carbonated beverages etc. also, there are some subsectors that produce vacuum fried fruit chips, real potato chips, spices powder, etc, which have huge potential in the domestic and export markets. In order to start a new venture, many aspiring entrepreneurs nowadays are seriously searching for profitable and trending food business ideas. What are the Top 5 Food Business Ideas for Dhaka, Bangladesh? As food is an important consumable item for the mass population, it has a huge demand in Bangladesh. There are many food business ideas that you either can initiate your own business or for those who are looking for a part-time opportunity apart from their present job. Although we have all at some point had a restaurant business idea and thought that perhaps we should open a restaurant or a cafe, it’s hardly anyone ever opens a restaurant impulsively. As it’s low on investment and risk and yet generates high profits, Quick Service Restaurants is one of the most popular food business ideas for Dhaka. Around BDT 10-15 Lakhs, out of which a significant proportion would be spent on marketing the restaurant is the required amount for opening a Quick Service Restaurant. Since the entire business is dependent on the high volume of orders, location is of utmost importance in a QSR. That’s why you must set up a QSR in any densely populated area, for example, it could be a high footfall market or a mall, big office complex, highways, hospitals, airports or university area. A QSR not only serves fast food but is semi-prepared from beforehand or can be prepared in a short amount of time. You end up saving on the cost of setting up the seating space, furniture, and the crockery with this restaurant business idea. Although QSRs are self-service restaurants, you need fewer staff members. While getting your license in place you would not have to do much brainstorming. Casual Dine Restaurants is one of the best food business ideas for Dhaka, Bangladesh, which is suitable for new entrepreneurs. Although the investments incurred in this formats aren’t that high, they have the potential to reach the breakeven point within approximately 18 months. While making it one of the high-profit food business ideas in the restaurant industry, the Profit Margin of Casual Dine restaurant is usually around 20-25%. It does not demand a posh locality hence the preferred location is high footfall area, malls, and shopping streets when it comes to Casual Dining Restaurant. As it has an immense potential of having a high-profit margin, the food truck is one of the top food business ideas for the Dhaka city. The profit margin that you would incur is quite a lot while the investment is as less as BDT 10-20 lakhs. It’s purchasing the Truck that’s the significant cost involved in opening a Food Truck. A second-hand Truck which can be around BDT 8-10 lakh and it can easily be converted to a Food Truck. And you’ll have the liberty to change your location because it is highly mobile with this format. Although the estimated profit margin for a food truck and a food cart is roughly around 50%, the profit margins vary significantly from the type of food you serve. You should sincerely consider opening a Cloud Kitchen If you are new to the restaurant industry and are looking for high-profit food business ideas for Dhaka. Since you can cook at your house kitchen, which will have all the minimum equipment and utensils required, the initial investment in this food business idea is nearly negligible. Although you can also save yourself from the monthly rentals that drain most restaurants your investment would not be more than BDT1-2 lakh. But, it’s the marketing that the area which you need to pay attention to apart from food in this restaurant business concept. You’ll see the influx of orders and be able to reach your breakeven in no time when this is correctly done. There are also professional cloud kitchens, which operate on a larger scale in addition to small-scale cloud kitchens. If you start a raw food business then it doesn’t necessarily mean cooking while starting a food business. that’s why you could consider setting up a raw food delivery box business, selling raw food snacks online, or starting a raw food stall if you’re enthused by raw food. It’s a good idea to speak to local health food shops first to see if they will stock small amounts if you’ve developed your own raw food products. As there’s a whole community of raw food fans out there, writing a raw food blog and being active on social media is important too.